Precious Sentiments Gold Gents Band Ring is rated 5.0 out of 5 by 4. 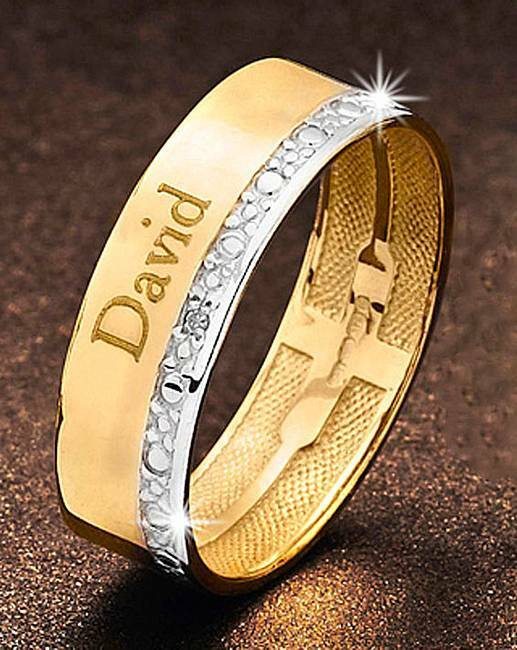 Buy any two together of this Precious Sentiments 9carat gold personalised band ring and SAVE £50. This 9 carat yellow gold gents ring is personalised with one name up to 10 letters. The ring is part of our Precious Sentiments range, a stunning, exclusive collection of diamond-set jewellery, adorned with the names of your loved ones. Rated 5 out of 5 by Big bird from Beautiful ring Bought this ring for my partner for Christmas and I am sure he will love it .